Learning how to parent, every day. Yesterday was not a good day, to say the least. I'm. To even sure why, but we were all in bad moods and both boys were being particularly defiant, and driving me crazy. We all made some bad choices, and we all lost our tempers, but at bedtime we snuggled up and apologised. I'm trying to teach the boys about forgiveness at the moment, even at such a young age. Today was a much better day, we all took naps, listened to music, and played together. They boys ate all their dinner, and even got a treat for dessert for behaving while I cooked. I filled out forms and listened to them play in the bath with their Daddy, laughing and squealing. I'm learning that some days are better than others, and that that's okay. I'm learning just as much as the boys are in terms of behaviour and discipline. Buying fall "essentials". We went shopping with my parents earlier this week, shoes for Daniel, jumpers & hats, pyjamas for Joshua & cosy socks for Mama! I've also been super organised & started ordering Christmas presents already! I know, I hate me too! Loving Justin Timberlake's new album, Vitamin Water (especially dragon fruit flavour) & oxblood red everything. Wishing time would slow down just a little. This month is Daniel's half birthday, and I just wrote out his school registration. Hold me. Joshua's growing, & finally fitting in to 12month clothing and starting to show his quirky little personality a little more. Of course I'm biased, but he's crazy adorable! My two are 18 and 12, and I'm still learning how to be a parent everyday. 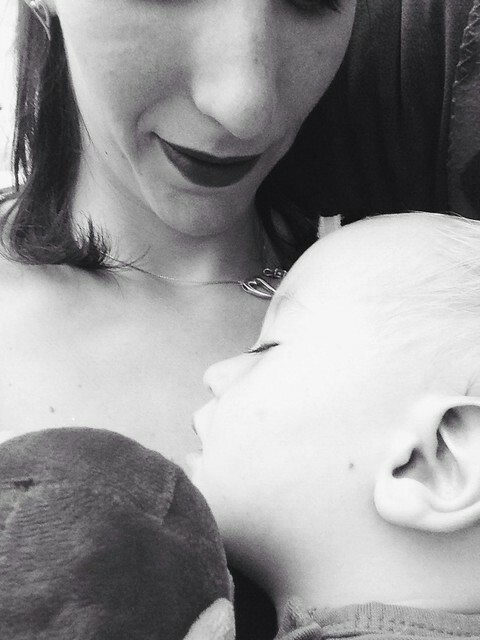 Lovely to hear that you are continuing to breastfeed as the right thing for the two of you.